Learner Driver Insurance for Female Drivers is easy to find using the MoneyMaxim learner driver insurance comparison service. You can either search for a short term policy, or an annual one. To help you understand the reasons you might choose one or the other and to help you decide which is likely to be the most suitable for you, here are a few pointers. Whether you are looking to borrow a car to take your test in, practice for a few days to polish up your skills before your practical examination, or are coming home from university determined to have your full licence before you return,we can really help you find learner driver insurance. Policies cover periods from just one day up to 6 months. Policies cover either borrowed cars or those owned by a young female driver. Third party or fully comprehensive options are both available. Be aware that, if you borrow a friend or family member's car, these policies normally require the car to be insured already. They do not, for instance, provide insurance when the car is parked on the drive and the policy will not show up in the DVLA insurance database. Using our service makes it really quick to compare policy variances such as the required age and experience of accompanying drivers (this can vary from 21 to 30! ), and will only display policies from companies who will cover the age, make and model of car you will be driving. 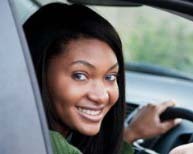 If you buy an annual policy, a big plus point can be that some insurers will count your no claims bonus (NCB) earned as a learner once you have passed your test. As insurance in your first 'post test' year tends to be the most expensive policy you will ever buy, this can be a big advantage. There is, however, no consistency in applying these practices across the insurance industry so please don't assume that your pre test no claims bonus can be used with every firm. As it is likely that you will be part way through your policy year when you pass your test, you are also likely to only have to pay a pro rata additional premium for the remaining year, helping to create a series of steps in premium increases rather than a massive leap. If you buy a specific learner driver policy rather than a standard policy which also covers learners, you will need to cancel this policy when you pass (normally getting a refund for unused months) and start anew. Most insurers increase premiums when you pass your test - and sometimes that can really take the shine off an otherwise memorable day, so it can be a good idea to prepare yourself for the shock by running a few test quotes through our system pretending you are a few months older and have just passed your test. If you are looking to add a learner as an additional driver, do check with the company that they will cover them when they pass their test. Use the reference numbers on the results page once you have run the quote on our service as this will save you having to explain your circumstances all over again. Call us on 0800 520 0699, or 01183 218197 (option 3) and we will be delighted to provide assistance.